People like to bring me things, mostly (almost exclusively) books, which makes a lot of sense what with the whole book store vibe we’ve got going on here. Usually it’s books to trade, sometimes it’s books just to show me and other times it’s interesting books that they just don’t know what else to do with. 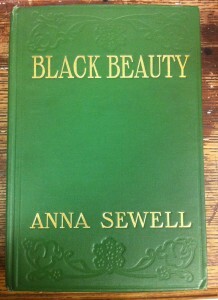 The other day one such customer comes in with an old hard cover copy of Black Beauty. He’s showing me the cover as he walks towards me and I’m thinking to myself, ‘that’s great, the cover looks to be in good condition, this is going to be a nice copy’. He passes me the book and I open it up checking for signatures, inscriptions and publication date. 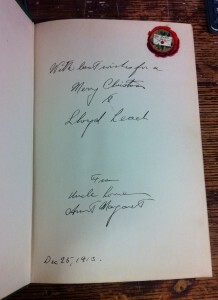 There’s no publication date but an inscription on the first page says it was a Christmas gift in 1913. For the record I don’t know much about antiquarian books, I just really like them, especially if there is beautiful handwriting inside that gives a glimpse of its reader’s history. 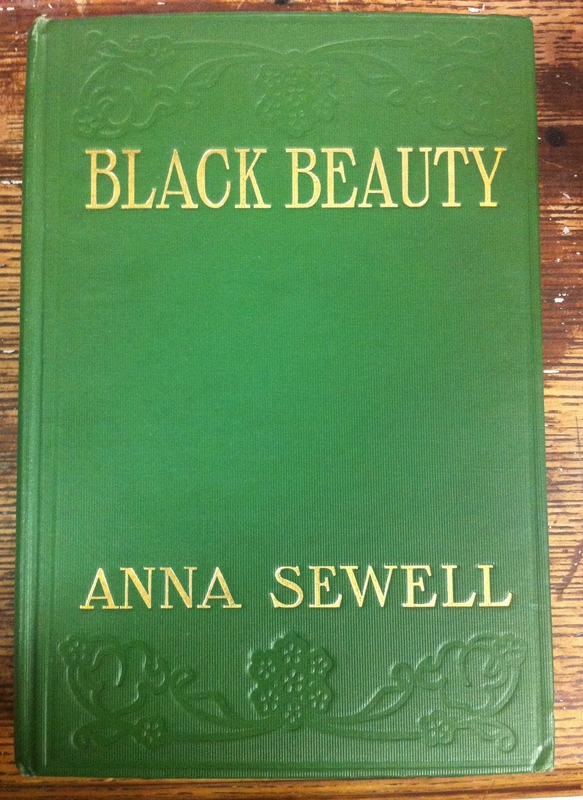 It would seem this particular copy of Black Beauty is more suited to hiding a revolver than it is to sharing the life story of a horse. I can’t help but wonder how this came to be. It is meticulously carved to perfectly fit the gun, so whoever did it put a lot of time and effort towards this hiding spot. 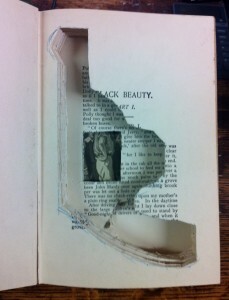 Was it the person who received the book as a gift who carved it? Perhaps they were disappointed with the story and decided there were better uses for the book. 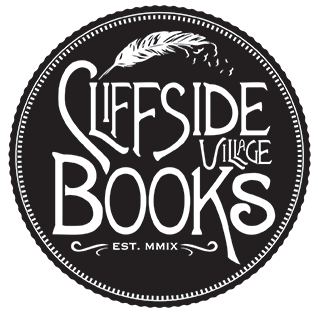 Was the book already carved when it was gifted? An Aunt and Uncle looking to protect their kin, maybe they also bought the gun. Maybe the gun was the main present but they needed to give it inconspicuously. It also raises the questions, was this gun ever used? And if so, under what circumstances? And where is the gun now? Did somebody buy the book, say at an estate sale only to discover there was a revolver inside it? Any which way I’m glad the gun was gone before the book found it’s way to me. I appreciate it much more without the deadly weapon. Although the customer, who has quite the sense of humour, did put a cap gun in it (it doesn’t fit right though) and caps… Consider yourselves warned.